Elder abuse attorney Gregory J. Brod was among the many Bay Area residents who were dismayed by the news last week that an elder care facility in Castro Valley was responsible for abandoning 19 residents for eight days, prompting the state to order the shuttering of the Valley Springs Manor. And now, Sacramento has also decided to essentially take over another assisted living facility owned by the same group that was linked to the Castro Valley scandal. According to the San Francisco Chronicle, officials with the state Department of Social Services Community Care Licensing Division stepped in to assume control of the Sundial Palms Assisted Living & Memory Care center in Modesto, with the state agency monitoring the facility around the clock and mandating that the owner hire a consultant from Sacramento to act as an executive director while the care home awaits a change in ownership this month. The spokesman for the department, Michael Weston, stated that the “highly unusual” move by his agency was as a result of the incident in Castro Valley, where all but two members of the staff – a janitor and a cook, both untrained in the care of the elderly – walked away from the facility and left the 19 residents to their own devices. Unlike in the Castro Valley scandal, where the state ordered the elder care home to be closed, the state has opted to keep the Modesto elder home open while proactively intervening. The state is also in the process of revoking the license of the owner of both homes, Herminigilda “Hilda” Manuel, to operate any elder care facilities. Ninety-one percent of nursing homes lack adequate staff to properly care for residents. 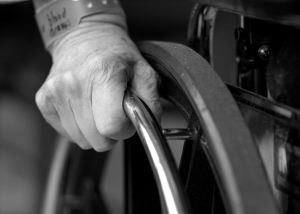 Clearly and sadly the recent reported instances of abuse at assisted-living facilities in California and elsewhere in the United States are unacceptably all too common. If you suspect that a loved one has suffered any form of elder abuse at a care facility please do not hesitate to contact the experienced attorneys at the Brod Law Firm for a free consultation.